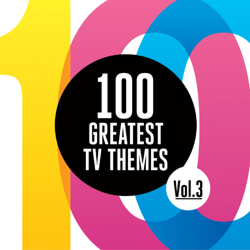 The third release in Silva Screen’s TV theme compilation series which has achieved close to 20,000 sales to date programmes another 100 classic TV themes both old and new spread over four CDs. Where else could you find the majestic music to Downton Abbey rubbing shoulders with everyone’s favourite Sunday afternoon game show theme Bullseye. Over 50 years of small screen music to surprise and hark back to from Agatha Christie’s Poirot to Wonder Woman changing channels along the way for small screen opuses such as Bergerac, Midsomer Murders, Mr. Bean, Only Fools And Horses, Thomas The Tank Engine and The Wire. A true box of delights which as in the previous releases in the series offers a comprehensive snapshot of the very best music on television. 6. Scooby-Doo, Where Are You?